This week Twitter launched the first major overhaul to its analytics service since its launch in 2012, giving users access to a considerably wider range of data than ever before. 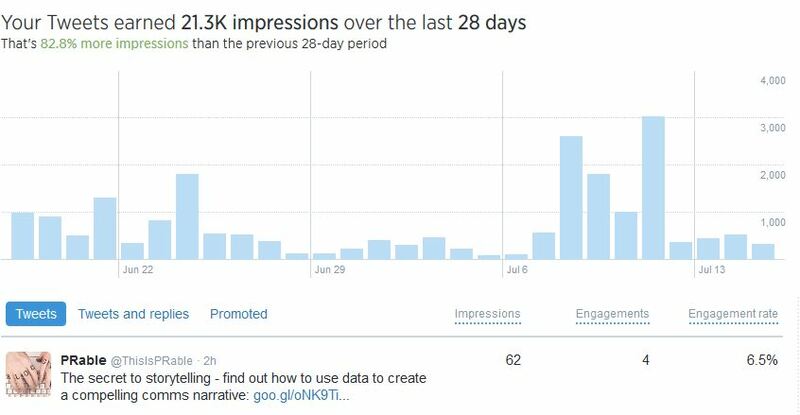 Whereas the older version provided a breakdown of mentions, follows and unfollows over time, the updated service provides a brief overview of the account’s performance with in-depth data on impressions per day. 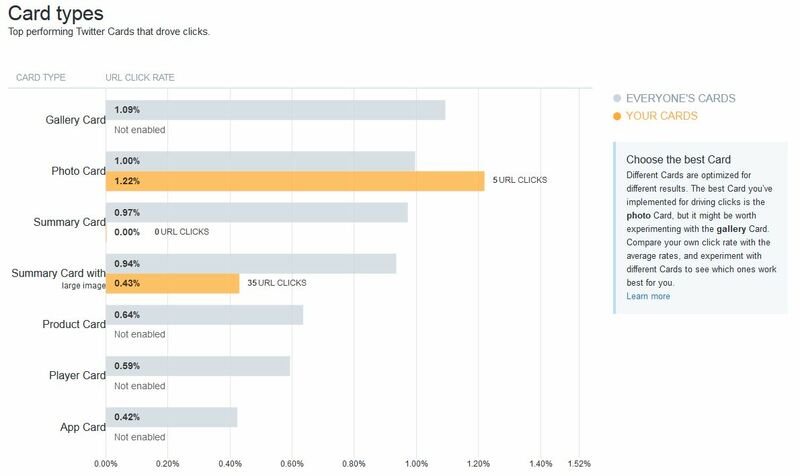 This is followed by the breakdown of tweet perfomance, ranked by impressions, engagement and engagement rate. By changing the format they have given users greater opportunities to see which tweets and calls to action perform best and therefore how to promote more effective interaction with followers. This is where the new style analytics tool really shows off. A bold graphic demonstrates the flow between your activity, the reach of your tweets, impressions and click throughs. The bigger the bubbles in the middle and on the right hand side, the better you’re doing. As in my recent post “How to write winning Twitter cards“, Twitter cards are all about driving direct engagement that brings business benefits. The new analytics support this fully, detailing how they are affecting impressions and click throughs and how each card type is performing. 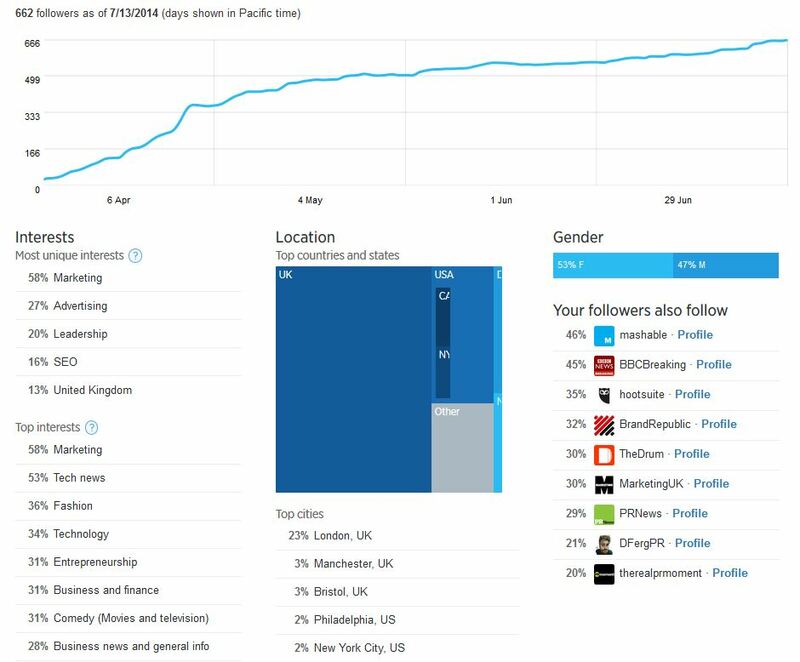 Twitter Analytics even enables you to identify where traffic is coming from; is your audience mobile oriented? If so, is your website optimised for mobile platforms? Is your blog generating a lot of traffic but hasn’t been updated for a while? Make sure you keep posting regular content to maintain interest. You can now even identify the highest performing tweets and the biggest influencers for your account at a glance. It has never been easier to assess what you are doing right and where you can improve, with minimum effort. This section remains unchanged, but this is not a reflection on its applications. The primary reason for the ‘Followers’ tab remaining the same is that it perfectly serves its purpose – providing a breakdown of follower growth, interests, location and gender. When used in conjunction with other analytics tools, this is an invaluable resource for tracking account development and ensuring that your messages are in line with your follower demographic. This is a fantastic and essential update that will lead to considerable business benefits. It brings the opportunity for real-time analysis of the performance of the account and allows faster and more considered adaptation to increase the appeal to your target audience. Keep an eye out for my guide to other free analytics tools for social media coming soon.